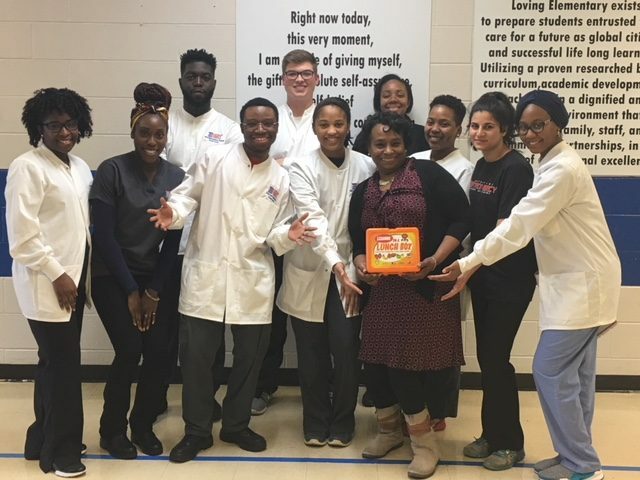 The Detroit Mercy chapter of the Student National Dental Association (SNDA) has once again teamed up with the Children’s Oral Health Institute (COHI) to deliver “Lessons in a Lunchbox” to children in Detroit. 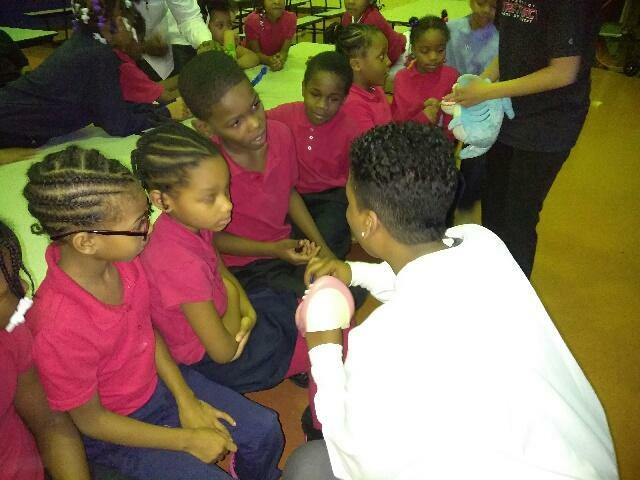 On Thursday, February 1, student dentists visited New Paradigm Loving Academy in Detroit to celebrate the event. Members of SNDA spent an afternoon reviewing oral hygiene instructions and assisting 40 first- through third-graders with assembling their lunchbox tool kit. Children were elated to receive the lunchbox containing a toothbrush, toothpaste, facts about healthy snacks, and a carrot carrying case. Loving Academy students gathered around student volunteers, full of curiosity and an eagerness to learn. COHI is an organization created to combat dental neglect and oral abuse among children. COHI’s goal is to improve the attitudes and behavior of children and families on a variety of oral health issues through early health promotion and disease prevention education. 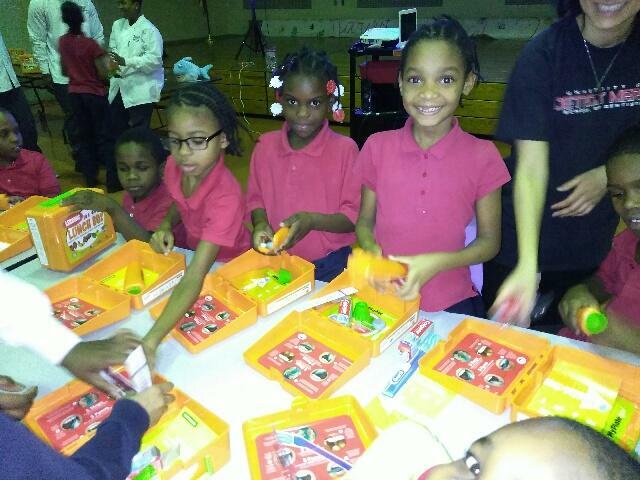 In response to the numerous health and behavioral issues seen in children with dental caries, Pediatric Dentist and CEO of the COHI, Winifred Booker, created the “Lessons in a Lunch Box: Healthy Teeth Essentials & Facts About Snacks” program to ensure teachers, parents and children are all working together to help eliminate this potentially deadly, yet completely preventable, disease.